If I ever play one of the What is the first word that comes to your mind? games, I’d say attitude for Rafael Nadal and talent for Roger Federer. The reason is that I’ve always associated the adjective never say die to attitude. But there is a lot more to attitude than just never say die and with the recent resurgence of Federer in the last 12 months, I’ve learnt a new meaning to attitude. This blog post is about my new learning on attitude. 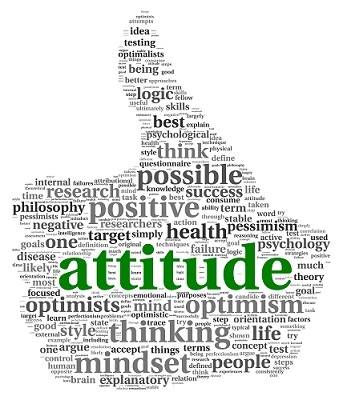 Attitude is being able to enjoy every aspect of your job or work. Federer is really talented and there’s no arguing that. However, there’s a lot more to being a successful tennis player than just being talented at tennis. First, you need to enjoy travel. Travel is an integral part of a Tennis professional life. You don’t have a permanent home, you have to deal with climate and location changes and you’re jet-lagged all the time. Next, there’s physical strength requiring you to spend a few hours at the gym on a daily basis. You also need to maintain a healthy relationship with your partner and your family. The only way Federer is so successful at the age of 36 with 4 kids is with the support of his wife Mirka. I also feel this a big contributing factor for the consistency of the Big Four (Federer, Nadal, Djokovic and Murray) in Men’s Tennis. Finally, there’s the media and press. Federer usually has a good time at the press conference after the matches - more laughs and casual conversations (I’m sure winning helps). When you enjoy every aspect of your job or work, life doesn’t seem so hectic or strenuous and years become shorter. Similarly, there are multiple aspects to our lives - a job that we love, good health, loving relationships etc. If we are in it for the long run in our lives (which we’re), we must as well learn to enjoy every aspect of our life.